“After more than 10 years in the planning and approval process, DC Water is moving forward with the St. Elizabeths water storage tower. Construction is slated to begin in the coming weeks, and is scheduled for completion in 2018. Some areas east of the Anacostia River have historically experienced low water pressure. DC Water planned years ago to improve the pressure with a new pumping station, water tower and transmission mains. Together, these elements would create a new water service zone (new pressure area) south of the Ft. Stanton area. While the pumping station was built in 2008, the water storage tower was delayed in approvals and permitting. The tower can provide a small amount of emergency water storage. The pumps in the pumping station can also move water in between pressure zones in an emergency. The new 170-foot-high storage tank at St. Elizabeths will store two million gallons of water. It is the first water tower DC Water has built in 71 years and will cost about $14 million. The water tower is located near the Saint Elizabeths Hospital National Historic Landmark (NHL), adjacent to the newly constructed hospital facility, east of Martin Luther King, Jr. Ave., SE and north of Alabama Ave., SE. The new water tower will allow for demolition of the existing tower, which was originally built in the 1930s and is no longer adequate. DC Water coordinated with nearly a dozen agencies for approvals or permits for the tower. These included the Federal Aviation Administration, District Department of Transportation, Historic Preservation Board, DC Mayor’s Office, and Washington Metropolitan Area Transit Authority. Work will be performed on weekdays between the hours of 7:00 am to 7:00 pm. Traffic impacts are expected to be light since the site is located near the hospital campus, though residents can expect truck traffic, some noise and lighting. Gravity helps water towers create pressure because the water falling from a height causes (hydrostatic) pressure that transmits through the pipes and pressurizes the entire zone. Pumps are turned on to maintain water elevation in the tank to keep the system pressurized. Water can cycle through the towers several times per day. With all due respect to the employees of D.C.’s Department of Consumer and Regulatory Affairs, wouldn’t it be nice to launch a business in the District without ever having to come in contact with them? Now, city entrepreneurs, you can. At least some of you. The District on Monday went live with its D.C. Business Center, a one-stop online portal through which most city businesses, existing and prospective, can apply for a basic business license, renew a license, and become certified as a certified business enterprise. The system also allows users to look up business and professional licenses, corporate registrations and certified business enterprises by license number or business name. Two years and $4 million in the making, the portal was designed by D.C.-based Limbic Systems to be TurboTax-like. At its core is a licensing wizard: After answering the wizard’s series of questions, it tells the applicant what licenses are needed and what supporting documents are required by DCRA, the steps to follow and the order they must be completed. Documents and payment can be submitted electronically. For now, the new system focuses on the basic business licenses most frequently issued by DCRA — contractors, restaurants, general businesses, single-family rentals, and so on. It is not yet designed to be used for occupational and professional licenses such as CPAs, lawyers and doctors, or for vending and special event licenses, or for highly specialized BBLs such as bowling alleys, candy manufacturing, driving schools and the horse drawn carriage trade. And a visit to DCRA’s headquarters in Southwest, a call to its customer service center, or a stop by any number of other agencies may still be needed to obtain a certificate of occupancy, or a corporate registration, or tax registration, or a health-related license or a building permit. The ultimate goal for the portal is to “include all District agencies that issue licenses, permits, or certifications; or perform inspections,” per DCRA. It is unknown what the next phase will include, or when it will be released. NUCA and CONEXPO-CON/AGG are CO-LOCATING in 2017! As you may know, NUCA’s 2017 Convention (March 4-6) will co-locate with CONEXPO-CON/AGG 2017 (March 7-11), one of the biggest construction shows on earth, for a winning Las Vegas combination! We are also pleased to announce that the dazzling and renovated Palms Casino Resort is our host hotel. Our 2017 Convention Committee is busy finalizing an outstanding NUCA Convention program, including keynote speakers, educational breakouts, policy meetings, general sessions, outrageous parties, a golf outing, and our always popular teambuilding shindig. While registration for the NUCA Convention is not open quite yet, here are some things you need to know right away. 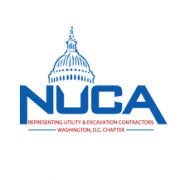 For discounted show passes, be sure to register for CONEXPO-CON/AGG through unique NUCA code-embedded registration links available only at www.nuca.com/convention. When you register for the 2017 NUCA Convention, you will be able to register for CONEXPO-CON/AGG at a 36% discount ($54 off the standard fee) through 2/3/17. We will let you know when 2017 NUCA Convention registration opens online and this special link becomes available. Don’t jump the gun and miss the discount by registering for the show elsewhere! For NUCA members and employees who will not attend the 2017 Convention but will attend the CONEXPO-CON/AGG show only, you will be able to register for the show at a 20% discount ($30 off the standard fee) through 2/3/17. This discount is available now at www.nuca.com/convention. NUCA member discounts for CONEXPO-CON/AGG education tickets are also available. We are pleased to offer discounted room rates at the Palms Casino Resort. The rates vary by day: $129 (3/3 and 3/4), $59 (3/5 and 3/6) and $200 (3/7 through 3/11). In addition, NUCA guests will save $10 off the daily resort fee. For those who would like to book rooms now, the special Palms link is live at www.nuca.com/convention. We hope to see you in Vegas in March! If you have questions or need assistance, please let us know. https://www.nucaofdc.org/wp-content/uploads/2016/03/nuca-featured-image.png 217 217 Debora https://www.nucaofdc.org/wp-content/uploads/2017/12/nuca-logo-with-dome.png Debora2016-08-17 09:55:472016-08-17 09:56:56NUCA and CONEXPO-CON/AGG are CO-LOCATING in 2017! The Appendix A Training will be held on Thursday, August 18, 2016. You may also contact the SLMBE Office for more information at 301-206-8800. August 18th 9 a.m.–12 p.m. DESCRIPTION: Appendix A is the section in WSSC Solicitations, which details MBE, SLBE and SLMBE participation on WSSC-funded contracts. All Prime Vendors/Suppliers are required to address subcontract participation determined by the SLMBE Office for proposals to be deemed responsible and responsive. This training course will help Vendors/Suppliers understand the information presented. To register, visit www.wsscwater.com/SLMBE and select “Event Calendar” from the side navigation.